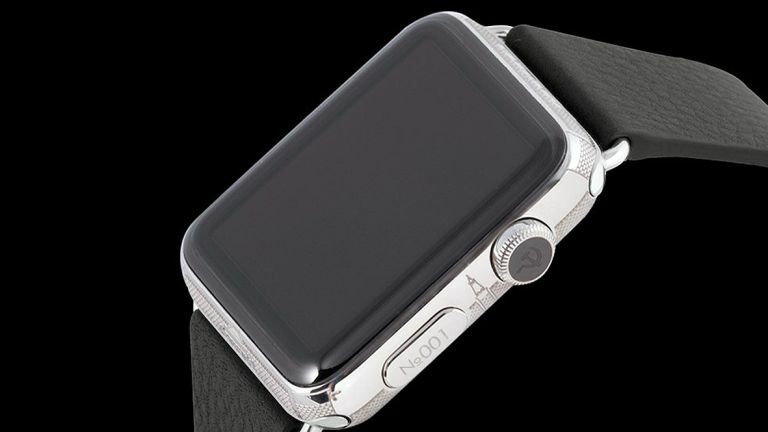 TheApple Watch, most people would agree, is a tastefully designed thing. Russian tastes, traditionally, tend to be either gaudy or grim. But in today's Russia, that's all changed, as this limited-edition range of customised Watches from Caviar proves. In chronological order, you've got the choice of the Peter the Great edition, with imperial crown and actually rather beautiful, if fussy, Fabergé egg-style detailing. Peter the Great, of course, greatly expanded Russia's borders and brought in a period of cultural enlightenment and engagement with Europe. Much like Putin today, but with better hair and less of a propensity for taking his shirt off at the drop of a hat. Then there's the Soviet era one dedicated to Lenin, shown in the main image and here. This one's great if you like a bit of the old CCCP chic, and comes in silver rather than gold, to denote the fact that this was a serious and poverty-stricken part of Russian history, unlike the ritzy fun times under Peter the Great and Putin. Remember: in Soviet Russia, touchscreen push YOU. Finally, there's The Putin, which features the Dobbie the House Elf lookalike perma-Premiere's signature and the Moscow skyline. Don't be using it to pass off fake cheques, now - and if you ask Siri where the nearest gay bar is, it alerts the cops. Suggestions that Apple Maps' occasional issues with accuracy may be why Russian troops keep accidentally wondering into the Ukraine are unproven at this point. Aha-ha-ha! Ha. These are all great looking pieces, to be fair, and at around £2,000 they're also affordable slices of collectable Russian political chic.